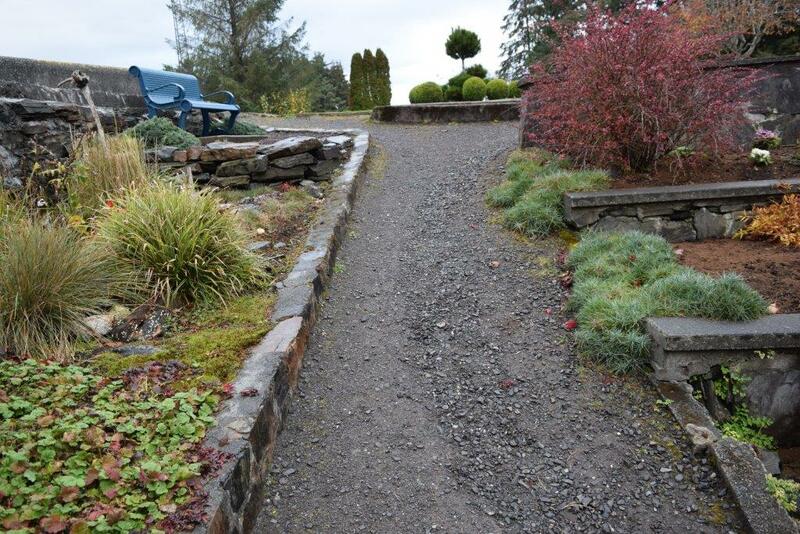 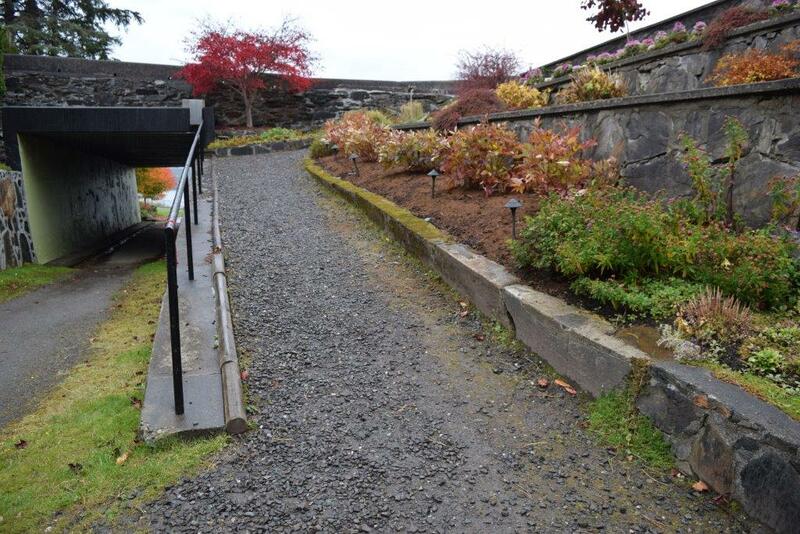 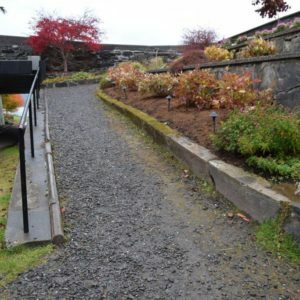 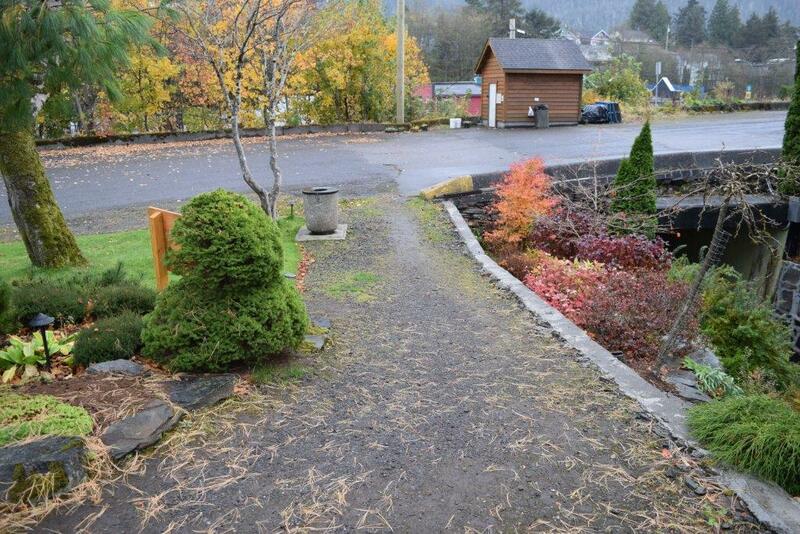 Sunken Gardens Park and Trail in Prince Rupert, British Columbia, Canada is a small two level park with a short pebbled walkway leading through a tunnel into an open area surrounded by brick walls fronting floral gardens. 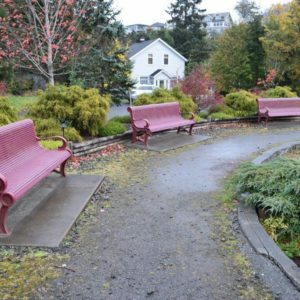 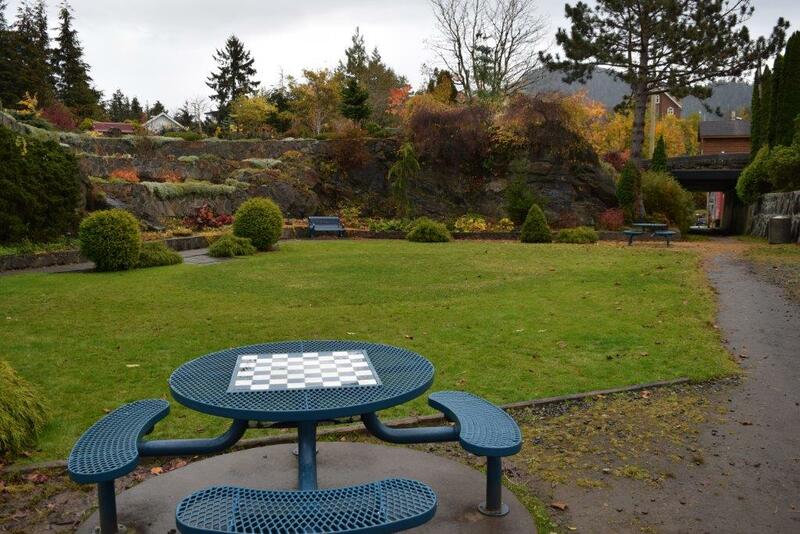 The area is well manicured and maintained with sitting benches and picnic tables so to enjoy the scenery. 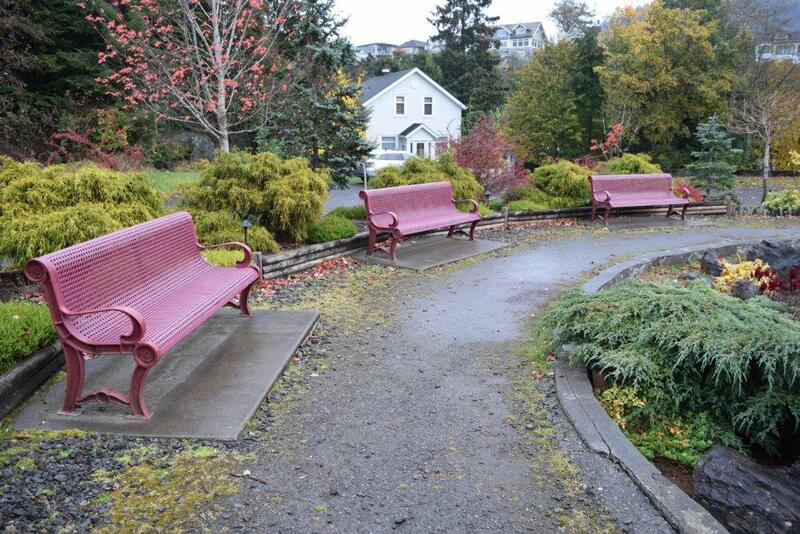 Sunken Gardens Park sits on the first location designated for the community court houses. 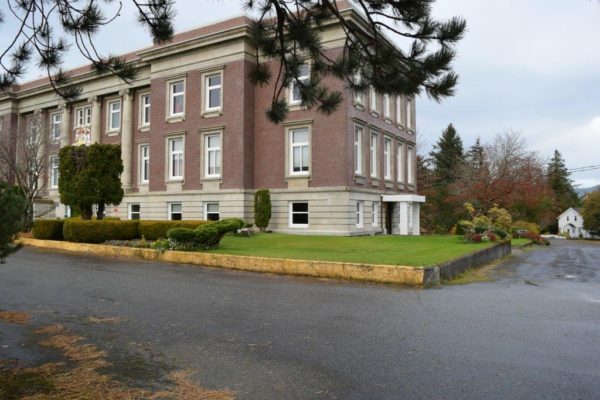 But in 1923, after more planning and more politics, the Provincial Court House in Prince Rupert was completed but not in the original location – the site was moved forward leaving a hole behind the building. 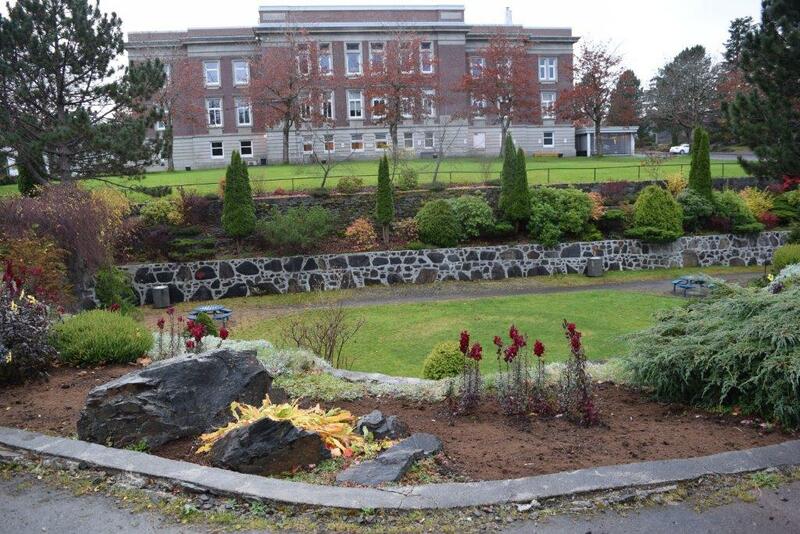 The hole, the original site of the court house, is now the Sunken Gardens. The brick wall is the old foundation. 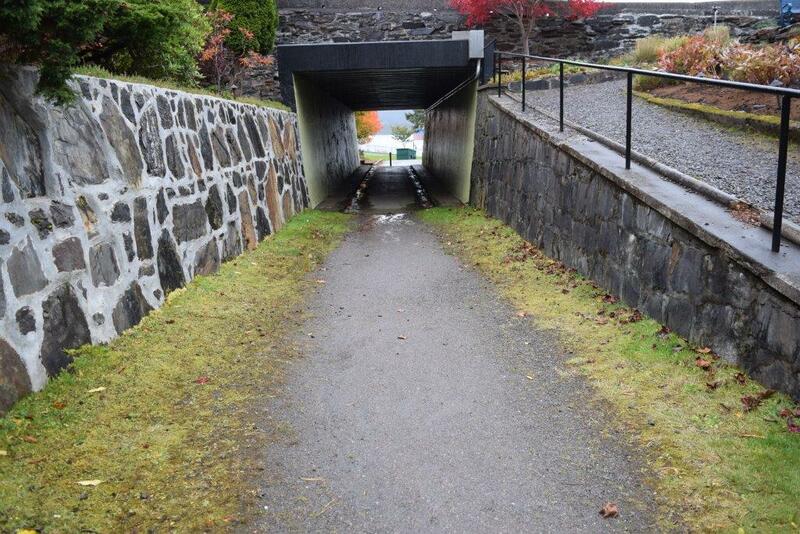 At one time, during the world wars, munitions were stored in the tunnels which are now walkways in the park. Today, the tunnels and the foundation have been transformed into a community park. 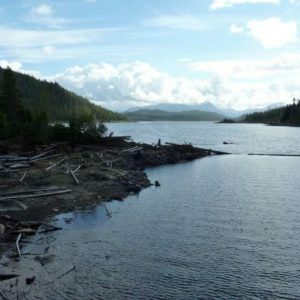 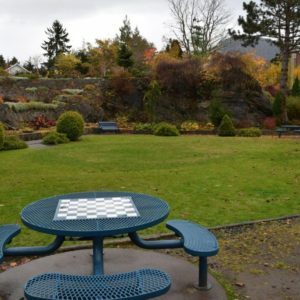 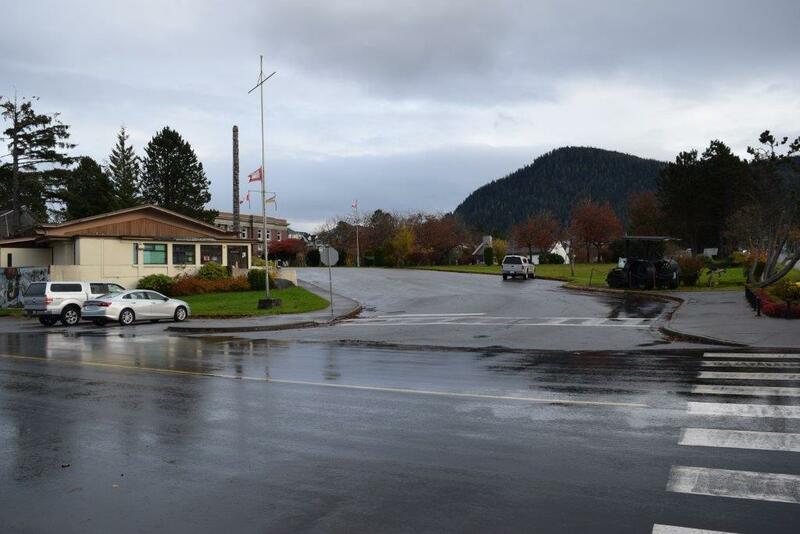 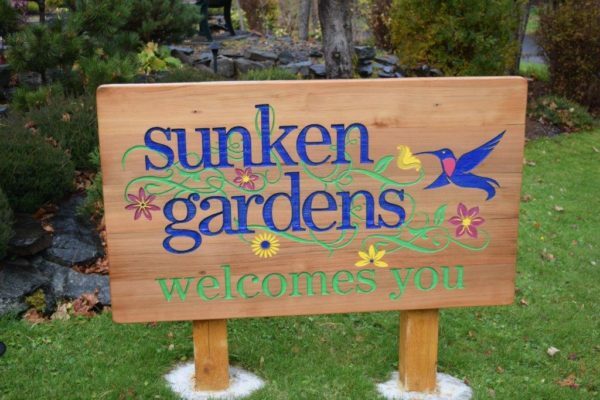 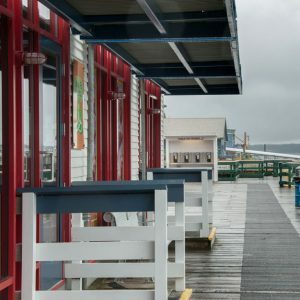 Located within walking distance of the Sunken Gardens are the Pacific Mariner’s Memorial Park, the carving shed, Cow Bay and the Prince Rupert Waterfront Park.